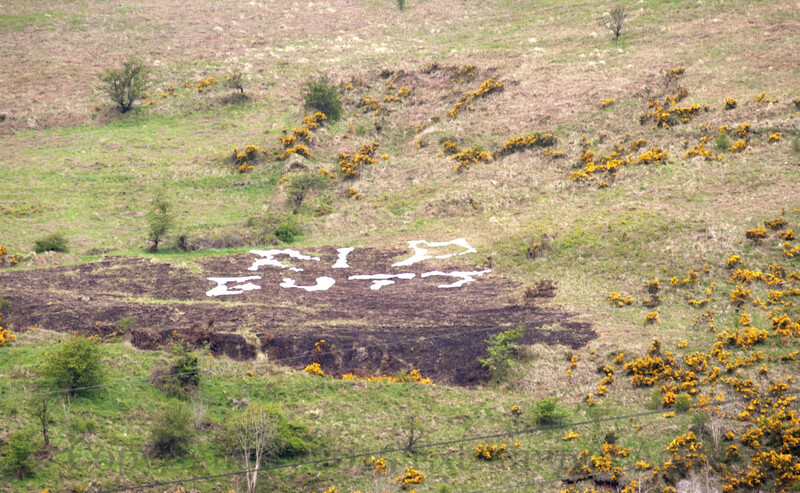 The suicide of young people continue to cast a shadow over Belfast and the rest of Northern Ireland. (The suicide rate has almost doubled since the ceasefire; a fifth of those dying are under 25.) 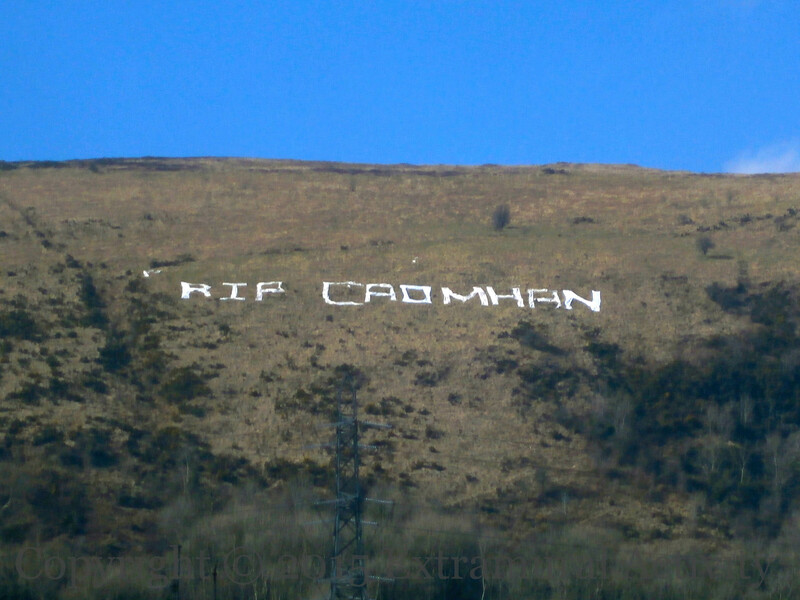 Here are three images from west Belfast, two from Black Mountain – “RIP Caomhan” and “RIP Butts” where the lettering from “End Brit/S’Mont Cuts” (see Credit Union Limited) has been repurposed. 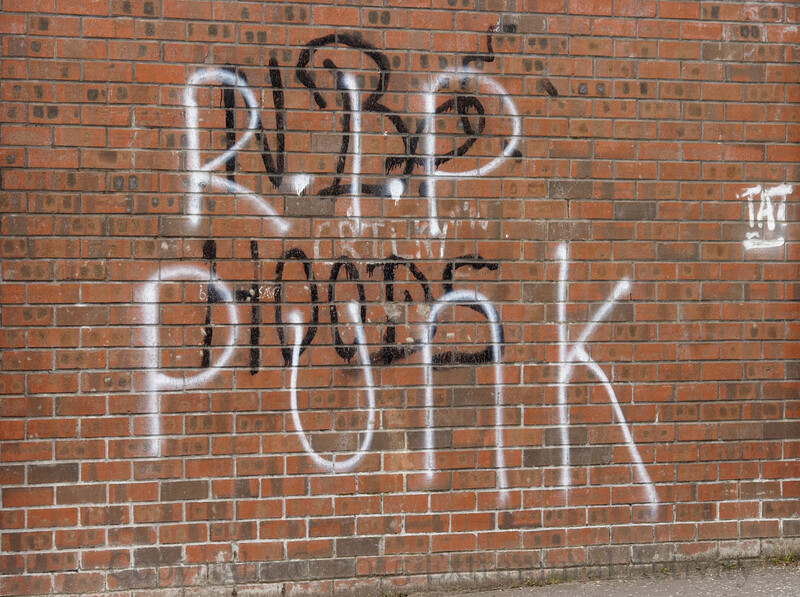 “RIP Punk” is from the junction of the Whiterock and Springfield Roads.